German speciality chemicals company Lanxess has estabilshed a new strategic positioning over the course of 24 months, said Hubert Fink, Member of the Board of Management, speaking at a pre-K2016 event. The company, which generated EUR7.9 billion in sales last year, has made a number of adjustments to its portfolio of products. By having entered into a joint venture with Saudi Aramco, the world’s largest integrated energy enterprise, Lanxess transferred all production assets for synthetic rubber over to a new company known as Arlanxeo. The Maastricht, Netherlands-headquartered Arlanxeo will be presenting for the first time at the K show. Specialising in tyre and speciality rubbers and high performance elastomers, it had global sales of EUR2.8 billion in 2015. With the closing of the transaction, a 50% share in the joint venture Arlanxeo was transferred to Dutch Saudi Aramco subsidiary, Aramco Overseas Holdings. 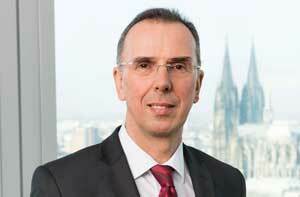 In return, Lanxess received cash proceeds of around EUR1.2 billion. Lanxess says it plans to invest EUR400 million of the proceeds from the transaction in organic growth. Another roughly EUR400 million is earmarked for a further reduction of its financial debt position and around EUR200 million to be used for a share buyback programme. The company had to undertake a restructuring due to a drop in profits and announced a three-phase realignment programme in 2014, aimed at getting back on track and to make total annual savings of EUR150 million. It also announced reducing 1,000 jobs worldwide by the end of 2016, with half in Germany. This represents about 6% of its total global workforce. “Since 2014, we have executed a successful capital increase; put a new leadership team in place; realigned our group a full year ahead of schedule; successfully ramped up two new world-scale plants in Asia; kicked off new growth projects; and, of course, overseen the creation of Arlanxeo, which officially commenced operations in April,” said Fink. “We are now looking at the commercial/supply chain manufacturing initiatives by going into our plants worldwide to reduce costs by EUR150 million by 2019. We are underway to achieving our target,” said Fink. In terms of M&As and utilising the funds received from its Arlanxeo joint venture, Lanxess taken over the Clean and Disinfect business of US-based chemical company Chemours for around EUR210 million. High Performance Materials, which manufactures polyamides and advanced plastics – such as Durethan and Pocan – for the automotive industry and other sectors. This year at the K show, a new business unit, Rhein Chemie Additives, under Performance Chemicals, will be at the Lanxess booth. “This will be our first time at K Fair since Lanxess united all of its additive-related business lines under the Rhein Chemie Additives umbrella in early 2015,” said Anno Borkowsky, head of the unit. Borkowsky said that with no single end-market accounting for more than 20% of its sales, the additives business is resilient. “Market volatility has never been a major concern for us,” he added. It accounted for around 40% of the 2015 sales booked by the Performance Chemicals segment last year. The markets that account for the highest share of its sales are Europe (excluding Germany), the Middle East and Africa, followed by North America and the Asia-Pacific region, which each account for around one-fifth of its sales. Germany accounts for 13% and Latin America for 4% of its global sales.